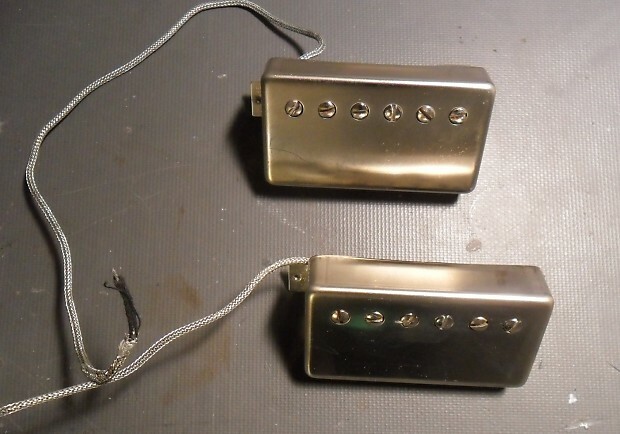 Gibson Custom Bucker pickups removed from a 2013 Gibson Custom 1958 Les Paul Standard VOS Reissue. 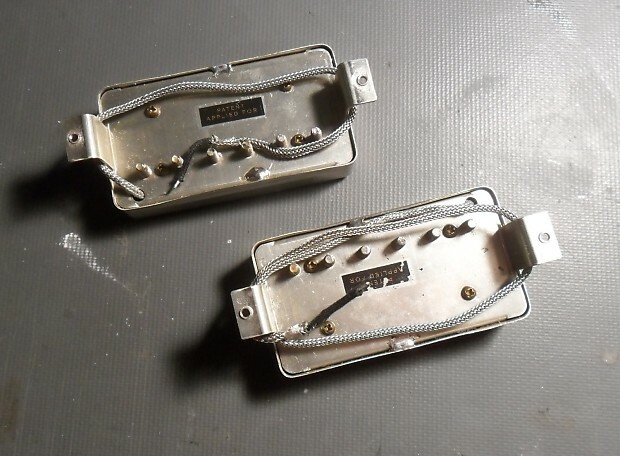 These are regular-spaced 2 conductor(wire) pickups with the complete wires remaining. The pickups' measured DC resistance is 8.18 k-ohms bridge, and 8.13 k-ohms neck. 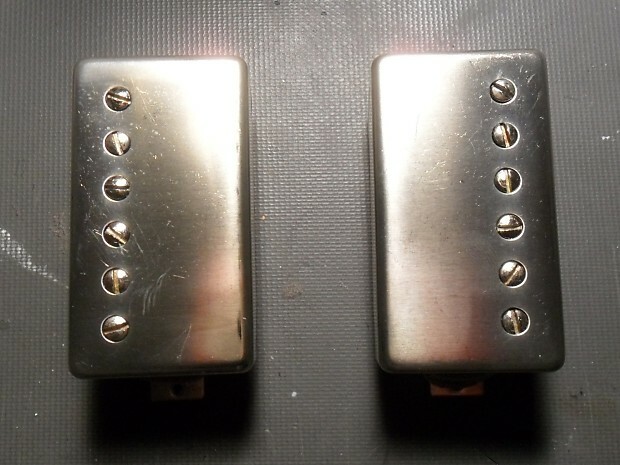 The magnets are Alnico-3 and the VOS-aged nickel covers have not been removed. 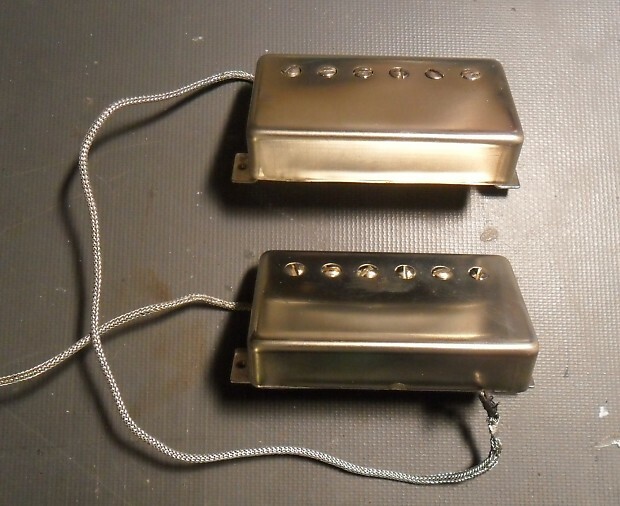 These pickups are not available for sale by Gibson, and can only be purchased by buying them installed in a Gibson Custom Les Paul Standard Reissue, or buying them from someone who removed them from a Reissue, as I did. I had a set of custom-order Throbak PAF pickups installed in my Reissue Les Paul, so no longer have a need for the Custom Buckers, although they are great sounding PAF-type pickups. The pickups will be shipped FREE via USPS Priority Mail to the continental USA only. I only accept payment through Reverb Direct Checkout. paypal is not a payment option. Price is $425, any reasonable offers will be considered. 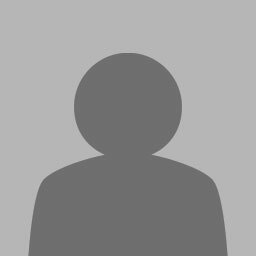 I am not interested in trades.